“God who searches and knows us call us by name. God speaks in the hope that we are listening. Forming us and shaping us for service, the Spirit blesses us with gifts. Our bodies, minds and spirits are temples of blessing, a gift of trust from God’s Holy Spirit. Come and see. Follow and serve. Christ sends us to do great things. 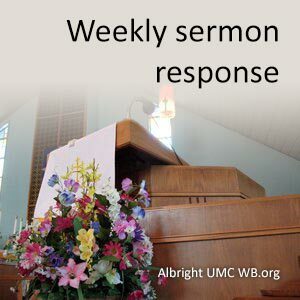 Response to the written Word from John 1:43-51 and the spoken word from Eugene D. Sperazza, C.L.M.